Beautiful Main Floor Master Suite on cul de sac with Mountain Views in The Meadows! 5 bedrooms plus a loft, 4 bathrooms, & Mother In Law Quarters. Main Floor Master Suite has deck/hot tub access & a 5 pc upgraded bathroom w/granite counters, heated floors, updated shower w/ frameless door & walk-in closet. 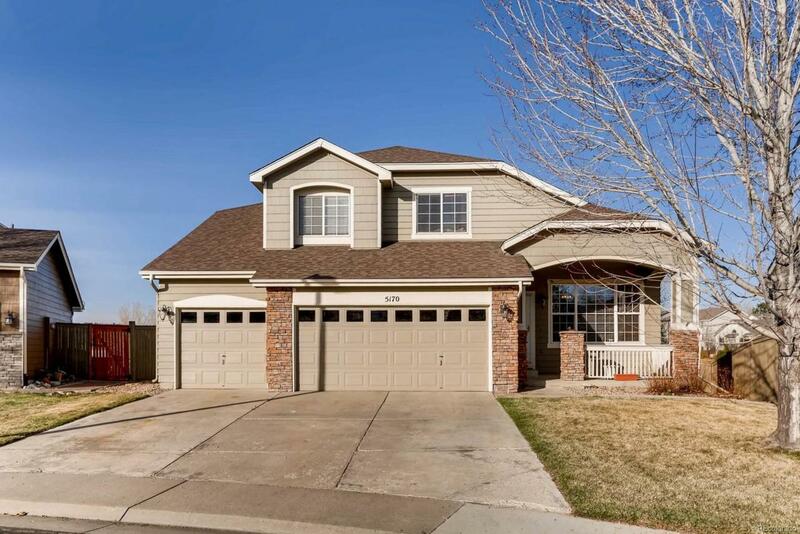 Enjoy the family room w/ vaulted ceilings, dining room w/ fireplace, laundry room w/cabinets, updated powder room, and kitchen containing eat-in area with views, work area, granite island, extended cabinets and counters, and all appliances included! Covered trex deck is perfect setting for mountain views and features built-in hot tub. Fully finished basement has full kitchen w/ all appliances included, plus 2 more bedrooms and a full bathroom! Covered back patio, fenced backyard, large utility shed included! Upper floor has large loft, 2 bedrooms and full bathroom. Security system, wood floors. Add'l washer/dryer hookups in basement. New furnace, newer roof & water heater.